NBC Universal announced its partnership with Citi and the NewSchools Venture Funds to sponsor the second annual Citi Innovation Challenge that will take place at the Education Nation Summit and will be hosted by NBC News. The winner will receive a $100,000 grant prize. The contest aims to help education stakeholders understand the impact of innovation on the academic development of students. It will bring three teams of young innovators together to compete in a series of challenges. The final event is the pitch competition where teams are allowed to share their ideas to a panel of experts and will be broadcast by NBC News. Citi has strived for 200 years in enabling American innovation, and with the partnership with NBC News, new window is opened in technological innovation. The first competition was held in 2011 and showcased three teams that presented their designs of technological tools to help teachers enhance classroom experience. The winning team was ClassDojo which won $75,000. This year, the teams that will participate will face bigger challenges with a chance to be seen on national television. The audience will vote for whose technology they believe will create a big impact on education – Pathbrite to help learners organize their achievements, ReadImagine to enhance reading behaviour, or NoRedInk to improve writing and grammar skills of students. The prize will be larger too, with a staggering $100,000 in prize money and an appearance in NCS News shows to talk about their product. This is another demonstration of Citi’s commitment to support innovation. It looks like the bank was strangely absent of the list of financial institutions supporting the recently launched FinTech Innovation Lab London. 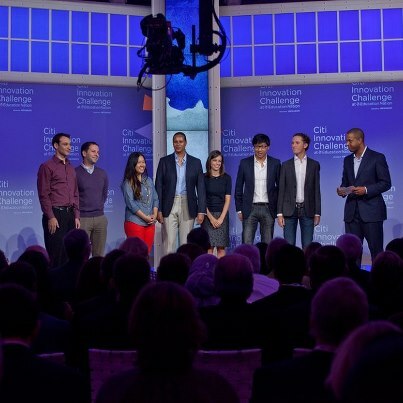 What is the impact of high profile initiatives like this ‘Citi Innovation Challenge’ on people’s perception of the bank? In your opinion, do they increase the US residents propensity to bank with Citi or to go work for the bank?